This spinner was designed to resemble the Adafruit logo. It's symmeterical and contains zero flat surfaces. The curvatures in the geometery gives the part a very smooth surface. 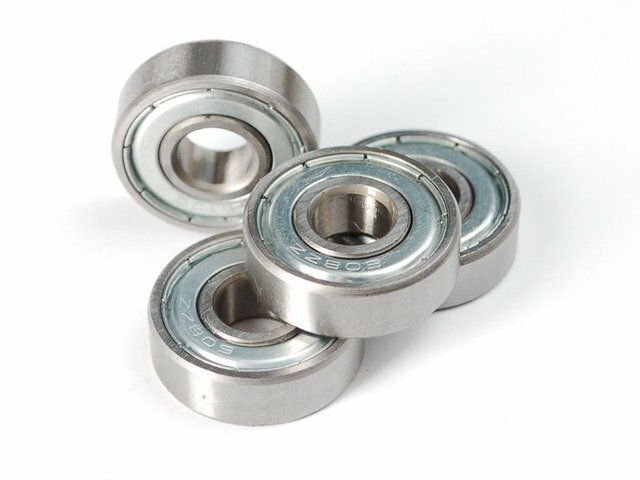 Two additional pieces mount to the ball bearing, essentially forming a finger "rest" for easily holding the center. The shape was 3D modeled in Autodesk Fusion 360. It was created using t-splines, which is apart of the sculpting environment and toolset. The design is free to download and modify. Because this part features no flat edges, it will require support material to 3D print properly. It is positioned vertically to produce the best quality and surface finish. Most slicing software for 3D printers are capable of producing support material. A raft is also necessary for properly adhering the part to the bed. If you don't have acccess to a 3D printer, can you upload the STL file to 3D Hubs and have a local hub 3D print and send the parts to you. Below are some recommened slice settings. 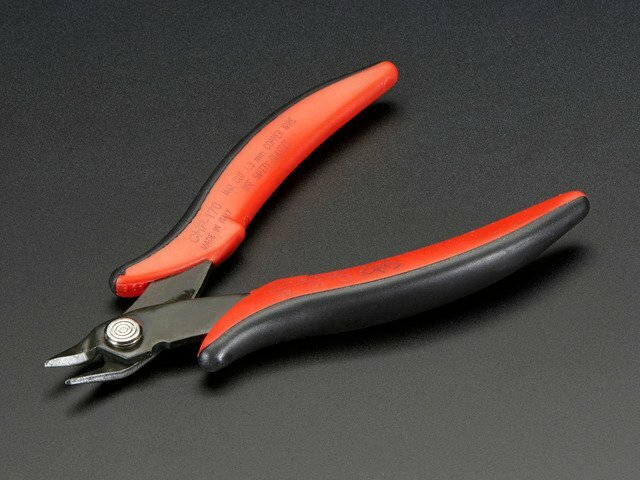 A pair of flush diagonal cutters can help remove support material from the part. It can also be removed by hand if it's of high quality. If you're having issues 3D printing the part vertically, you can optionally 3D print it flat on the bed using the ada-spinner-flat.stl file. I recommend setting the External Fill Pattern option to Concentric (if your slicer has this feature) – This will generate interesting patterns on the surface of the part. There is no support or raft required for printing it flat, nice! This guide was first published on Jan 11, 2017. It was last updated on Jan 11, 2017. This page (3D Printing) was last updated on Apr 19, 2019.